It is a pleasure to announce that on 1 March 2019 Nuria Yáñez Bouza became Senior Lecturer (Associate Professor) of History of the English Language at the University of Vigo. Congratulations are in order! It is a pleasure to announce that on 18 February 2019 Belén Martín Lucas became Full Professor of English Literature, Society, Gender and Identity at the University of Vigo. Congratulations are in order! The scientific paper “Atlantic Communities: Translation, Mobility, Hospitality” has received a Iacobus Papers Award within the framework of the Higher Education Cooperation Program for the Euro-Region of Northern Portugal and Galicia. Queremos agradecer a vosa presenza nas titulacións que o Departamento FIFA imparte nos niveis de grao, máster e doutoramento. Desexamos que o equipo docente e investigador do Departamento se axeite as vosas necesidades. Comprometémonos a dar resposta as vosas inquedanzas relativas ao desenvolvemento das titulacións, as saídas profesionais, as opcións de intercambio con outras Universidades estranxeiras, as mellores opcións académicas dependendo dos voso intereses e historial, etc. O Departamento conta cunha serie de equipos de investigación consolidados que vos poden introducir á carreira académica nas áreas de Filoloxía inglesa, francesa e alemá en diversas disciplinas. Non dubidedes en contactar co equipo directivo e administrativo tanto do Departamento coma dos diferentes grupos de investigación. Non perdas a oportunidade de participar no programa Mentoring-FFT! Welcome, visiting students! At the Department of English, French and German, we are happy to host foreign students in our degrees. Our Department teaches mainly, though not exclusively, in the English and Translation degrees. We also offer international exchanges in our postgraduate programs. Our fall term starts in late September and ends in mid January. Our spring term starts in mid January and ends in early June. Usually foreign students will arrive here around the start of the fall term if they are to spend a whole academic year in Vigo, though we also host shorter exchanges for one term. If you decide to enrol in our courses as an exchange student, you should first contact our International Relations Office http://internacional.uvigo.es and they will assist you with respect to all formal matters. If you are intersted in our MA and PhD programs, contact the Department (deph04@uvigo.es). O obxectivo fundamental deste Departamento é a prestación dun servizo público da educación superior a través da docencia, da investigación e da transferencia dos nosos coñecementos ao noso contorno social e cultural. A nosa prioridade é o alumnado, a quen queremos formar e educar como cidadás e cidadáns ademais de como excelentes profesionais. Para isto contamos cun profesorado comprometido que participa regularmente en cursos de formación e innovación educativa, ao tempo que lidera proxectos de investigación punteira, forma ao novo persoal investigador e colabora en redes de investigación nacionais e internacionais. Cada ano abrimos novos convenios de cooperación internacional con universidades de todo o mundo que vos permitirán ampliar a vosa formación a todos os niveis. O Departamento aglutina as tres áreas de coñecemento das linguas estranxeiras que ensinamos, polo que concibimos a docencia destas linguas e culturas de xeito integrado. O Departamento aglutina as seguintes áreas de coñecemento de linguas estranxeiras, de tal xeito que se concibe a docencia e investigación destas linguas, literaturas e culturas dun xeito integrado. Información sobre o profesorado da área de Filoloxía Inglesa. Información sobre o profesorado da área de Filoloxía Francesa. O Departamento FIFA imparte docencia en numerosas titulacións (graos, másteres e doutoramento) nos campus de Ourense, Pontevedra e Vigo. Moitos graos da Universidade de Vigo inclúen materias impartidas polo profesorado do Departamento FIFA. O Departamento FIFA é responsable da docencia do Máster en Estudos Ingleses Avanzados e as súas aplicacións (IMAES), titulación interuniversitaria na que participan as Universidades de Santiago de Compostela (coordinadora) e da Coruña. O profesorado do FIFA tamén participa noutros másteres tales como Profesorado, etc. Unha boa parte do profesorado do Departamento FIFA participa no Doutoramento en Estudos Ingleses Avanzados: lingüística, literatura e cultura (IDAES), titulación interuniversitaria na que participan as Universidades de Santiago de Compostela (coordinadora) e da Coruña. Este programa forma parte da oferta formativa da Escola Internacional de Doutoramento da Universidade de Vigo. The “Feminario de Investigación: Feminismos e Resistencias” (HI17) is led by Belén Martín-Lucas and Ana Bringas López. The group is multidisciplinary in its approach (English, Galician, and Translation Studies), and focuses on feminisms and theories of difference in textuality; critical feminist analysis; gender and sexuality studies in literature; theories of alterity: nationalisms, sexuality, class, and race; globalisation; theories and critical analysis of identity and subjectivity; theories of the Diaspora(s); symbolic violence; non-sexist language. The “Feminario” regularly organises and conducts conferences, seminars, and workshops on a variety of topics related to the research carried out by the members of the group. We also collaborate with the Unidade de Igualdade in organising activities for both students and the community at large. The “Feminario” currently participates in the research project “Bodies in Transit/ Cuerpos en Tránsito” (refs. FFI2013-47789-C2-1-P and FFI2013-47789-C2-2-P) in which Belén Martín-Lucas is Director of the Subproject “Bodies in Transit: Making Difference in Globalized Cultures” http://bodiesintransitproject.com. The research group AI1 (German and English children’s literature and its translation) is an interdisciplinary group that was created in 1992 by researchers of in the fields of English, German and French Philology and Translation. The group has been responsible for over 20 Galician and Spanish research projects and has participated in many international projects. It was honoured to be Excellence group by the Xunta de Galicia (Galician government) in 2006. The group created ANILIJ (Spanish national research association of on children’s literature) in 1999 (http://anilij.uvigo.es). It includes more than 150 researchers from all Spanish universities and associate members from other countries. The group has published a yearbook on children’s literature from 2001: the journal AILIJ (Anuario de Investigación en Literatura Infantil y Juvenil). Currently, its impact factor is almost at the top ranking. 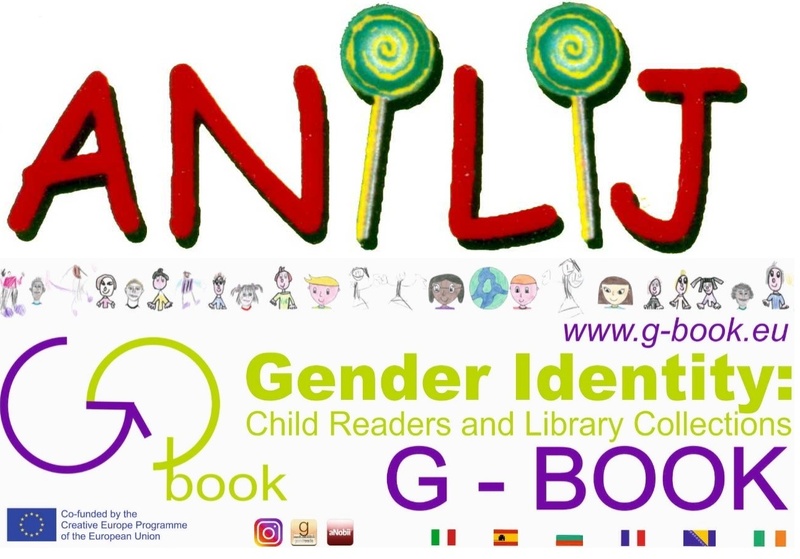 Moreover, the group participates in the European project “Gender Identity: Child Readers and Library Collection,” co-funded by the Creative Europe programme of the European Union. The project involves 6 European partners, and the Universidade de Vigo, together with the PI of the research group, Prof. Veljka Ruzicka Kenfel, are the only Spanish representatives. The main research lines are: (i) English, German and French children’s and young adults’ literature, translations and adaptations (analysing four official languages in Spain); (ii) Literary analysis and critical editions of English, French and German children’s books; (iii) Socio-historical study of the development of children’s literature in English, French and German speaking countries; (iv) Multimedia translation. Critical analysis of audiovisual products derived from books addressed to children and young adults; (v) Audiovisual translation: subtitles for hearing and deaf people; and (vi) Feminine theories and children’s and young adults’ literature. Grupo de investigación sobre lingua francesa e culturas francófonas da Universidade de Vigo. O grupo LITEX reúne investigadores da Uvigo centrados no estudo da lingua francesa e as culturas francófonas. As liñas de traballo no seo do grupo son, por tanto, diversas e abranguen desde os estudos literarios até os lingüísticos. A lingüística aplicada é un dos ámbitos privilexiados en LITEX, especialmente a didáctica das segundas linguas e a lexicografía, tanto do francés común ou xeral como de linguas de especialidade. Desde a súa creación en 2015, LITEX ten impulsado a edición dun volume sobre lexicografía especializada e colaborado activamente en diferentes accións da rede RELEX. Ademais, participou con outros membros da rede en diferentes proxectos de investigación de carácter lexicográfico: PORTLEX (MINECO), MultiGenera (Fundación BBVA) e MultiComb (MINECO). Por outro lado, o grupo LITEX tamén se interesa polas escrituras experimentais de tipo formalista (Raymond Roussel, Georges Perec e o Oulipo figuran entre os seus principais obxectos de estudo), polas distintas formas de diálogo entre a creación literaria e as artes plásticas, así como polas textualidades dixitais. Ademais, LITEX participa activamente nos grupos de investigación e creación internacionais que existen neste ámbito. Así, o grupo participou no proxecto de investigación Différences de Potentiel e coordinou a edición de distintos volumes sobre estas cuestións nos últimos anos. The research group LVTC (Language Variation and Textual Categorisation) represents a number of backgrounds and research interests, with a perspective to the description of variation and change in English. 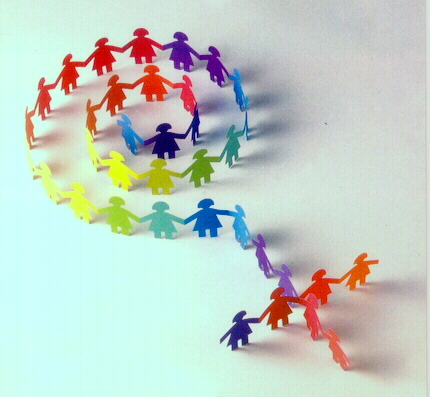 The aim of the group is to increase understanding of theoretical and usage-based issues such as word order, information structure, characterisation of spoken and speech-based text types or genres, processing of clausal and phrasal constituents, subjectivity, language-music interfaces, influence of presciptivism and grammars on actual uses, multilingual environments, the study of World Englishes, etc. 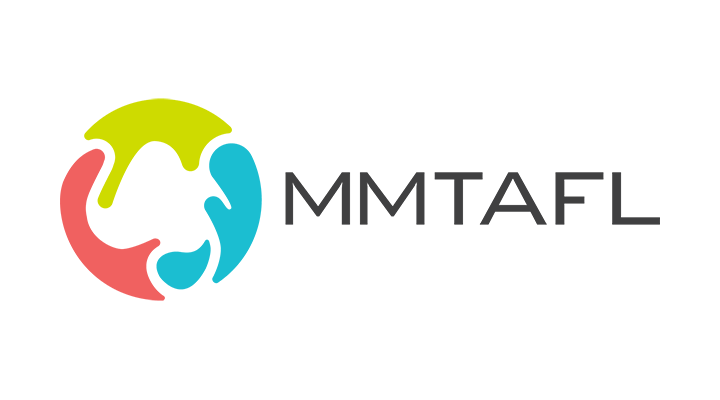 MMTAFL (Methods and Materials for the Teaching and Acquisition of Foreign Languages) aims to contribute to the development of teaching materials, to the analysis of elicited data in second language learning and to the relationship between language and cognition. Research areas and topics covered by the group members include cross-linguistic influence, thinking for speaking in SLA, the acquisition of spatial language by L2 learners, motivation in SLA, gestures in SLA, intercultural communication, development of teaching materials, and pragmatics. Drawing on the notion that any culture is the result of a dynamic process of negotiation between discourses, forms and texts, NETEC (Negociacións Textuais e Culturais das Culturas Anglófonas) promotes a cross-disciplinary approach to the study of underexplored interrelations in textual and cultural practices in Anglophone modern contexts around the following research topics: cultures in contact, texts and their transmission, transferences and negotiations between genre and media, interplay and dialogue between literary and cultural traditions. Babel - A.F.I.A.L. é unha revista académica anual sobre distintos aspectos de filoloxía inglesa e alemá. Foi fundada en 1992 e publica traballos sobre cuestións relacionadas coa lingua e as literaturas en linguas inglesa e alemá, lingüística aplicada, teoría literaria, tradución, metodoloxía, lexicoloxía e lexicografía, así como recensións de libros e traballos sobre estes mesmos temas. O comité editorial está formado por profesorado do Departamento de Filoloxía Inglesa, Francesa e Alemá da Universidade de Vigo, e o comité de redacción está composto por investigadoras/es de recoñecido prestixio procedentes de diversas universidades españolas e estranxeiras. Babel–A.F.I.A.L. está catalogada en MLAIB, ABELL, DICE, ISOC, ERIH PLUS, EBSCO, Dialnet e Latindex. O Anuario de Investigación en Literatura Infantil y Juvenil (AILIJ) é unha publicación científica de periodicidade anual, que publica a Asociación Nacional de Investigación en Literatura Infantil y Juvenil (ANILIJ) e a Universidade de Vigo. Admite traballos inéditos (artigos e reseñas) escritos en español ou inglés sobre as últimas investigacións en LIJ en todos os seus ámbitos: didáctica, educación literaria, tradución, literatura comparada, novos enfoques teóricos, estudos filolóxicos, políticas editoriais, edición, medios audiovisuais, novas tecnoloxías, ilustración, historia, autores. Está aberta a investigadoras/es reconocidas/os e en formación de cualquera institución ou país, profesorado e alumnado universitario para fomentar a investigación de carácter interdisciplinar. Está indexada en ISOC, CINDOC (CSIC), LATINDEX, MLA, ULRICH, ERCE, Dialnet. Vigo International Journal of Applied Linguistics (VIAL) aims at covering the different areas of study in the field of applied linguistics. Articles are accepted from disciplines such as computational linguistics, foreign language teaching and learning, forensic linguistics, language for specific purposes, language planning, second language acquisition, speech pathologies, translation. The journal welcomes empirical studies dealing with innovative aspects of applied linguistics. VIAL is becoming a forum of discussion for interdisciplinary studies and diversity, promoting the exchange of ideas among specialists. The connection between the different areas in the same journal allows the reader to become aware of studies that would otherwise be represented in different publications, making the knowledge of related disciplines within the framework of applied language studies easily available for the researcher. VIAL is indexed and abstracted in CINDOC (Centro de Información y Documentación científica), ERIH (European Reference Index for the Humanities), ISI Web of Knowledge , LATINDEX, Linguistics Abstracts, Linguistics and Language Behavior Abstracts, MLA Directory of Periodicals, Ulrich’s database.